Successfully Added GMP Game Media Player 2GB - Emulator + AV OUT to your Shopping Cart. Cool hand held 2GB MP4 player game emulator affectionately called a game media player (GMP) with the ability to play SNES and NES roms, and with the added bonus of having AV OUT for connecting the player directly to a TV or other LCD screen with AV IN. Having an inexpensive way to while away the time is a great plus for anyone who has ever been stuck in traffic, in the airport, or in other situations where there is little to do. 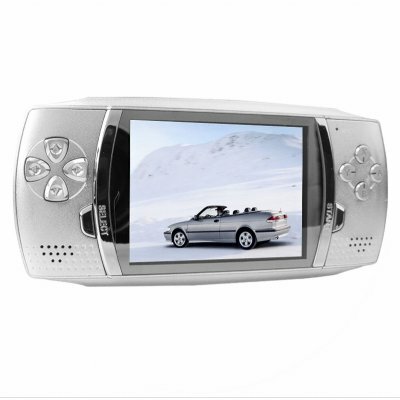 With this made in China portable media player you will be getting hours of solid entertainment. Some other great features include an easy to use D-Pad and 4 button control for both gaming and navigating the GUI interface, two built in speakers for super loud sound, adjustable settings for the user, and more. MP4 Dropshipping with Chinavasion for the GMP is both convenient and fast, and with no MOQ, buy a sample for yourself or buy in bulk for even bigger wholesale savings.